According to the British Heart Foundation there are around 60,000 out-of-hospital cardiac arrests every year. Acting quickly when someone is in cardiac arrest and fighting for their life is crucially important. Increasingly, AED’s are being placed in communities, public places and workplaces. 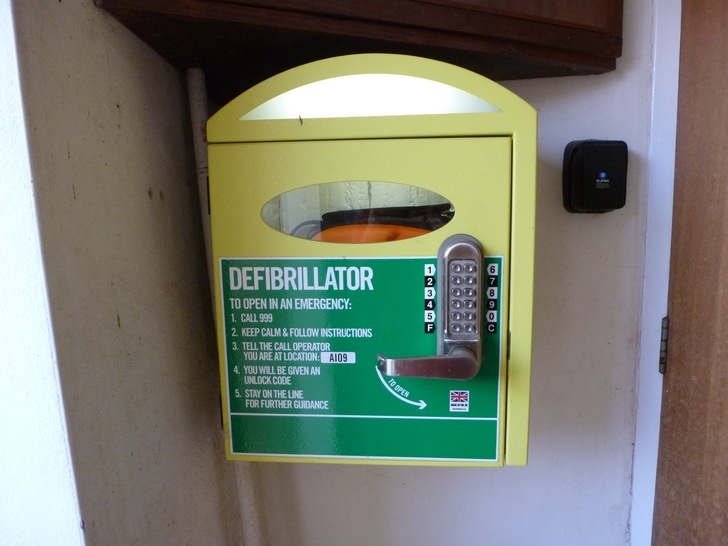 These are known as public access defibrillators and are obviously a positive step towards saving lives. A defibrillator is a life-saving machine that gives the heart an electric shock in some cases of cardiac arrest. This is called defibrillation and can save lives. When someone has a cardiac arrest, early defibrillation is essential to significantly increase the chance of survival. According to the British Heart Foundation, for every minute that passes without CPR and defibrillation reduces their chances of survival by 10%. Some communities have witnessed first-hand the devastation critical cardiac arrest can have on the families and communities of it's victims. Our local community now has its own public access defibrillator to safeguard the lives of adults and children in the community. This was part-funded by the British Heart Foundation. 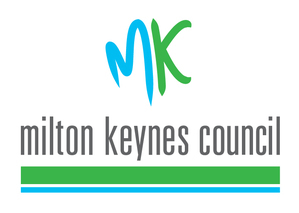 Other funding was provided by Milton Keynes Community Foundation and the local Ward Councillor, Mr Keith McLean. The device that has been purchased is called the iPAD SP1 AED, which stands for Intelligent Public Access Defibrillator. The iPAD SP1 is a nominated device of the British Heart Foundation. It is designed so that it can be used by minimally trained people, using a series of voice prompts and illuminated illustrations to guide a rescuer through what to do step by step until medical help arrives. What makes the iPAD unique is that it has a simple switch to be able to select adult or child mode, saving precious seconds that are wasted changing other settings in other devices in an emergency situation. This is called defibrillation, and it's an essential lifesaving step in the chain of survival.